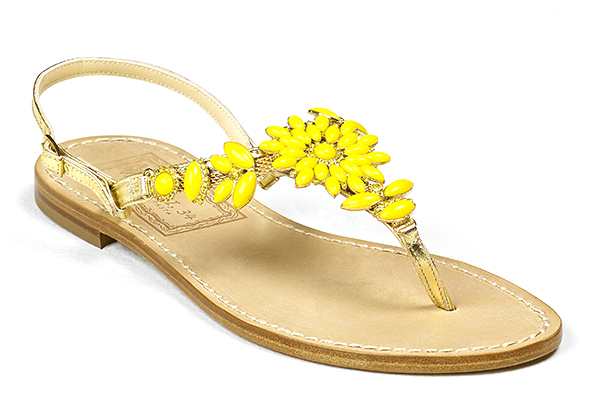 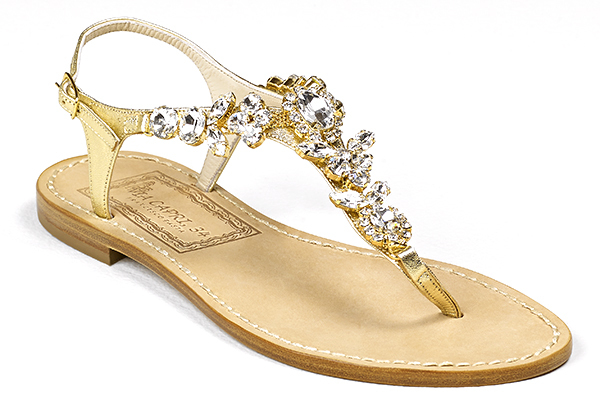 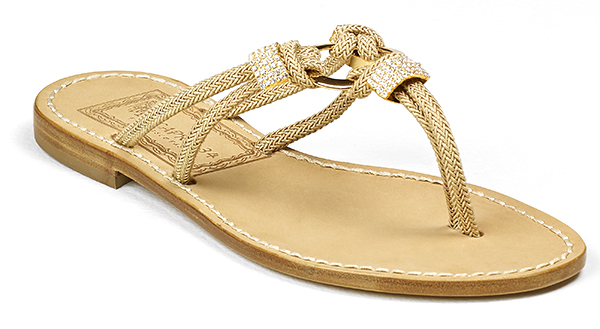 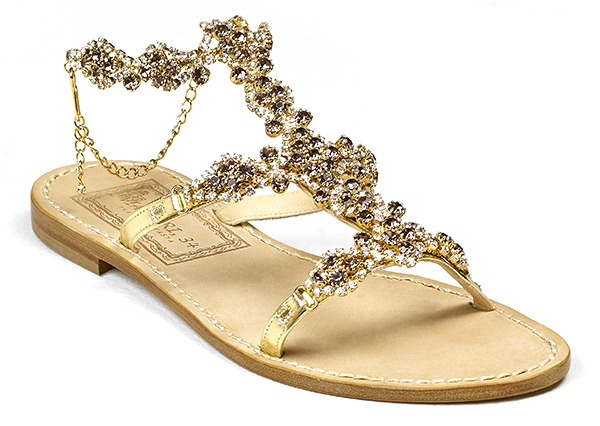 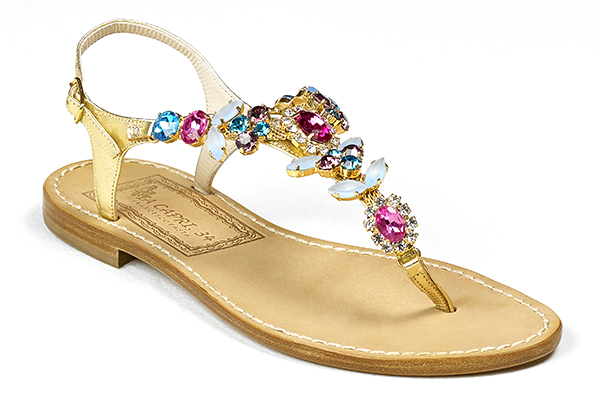 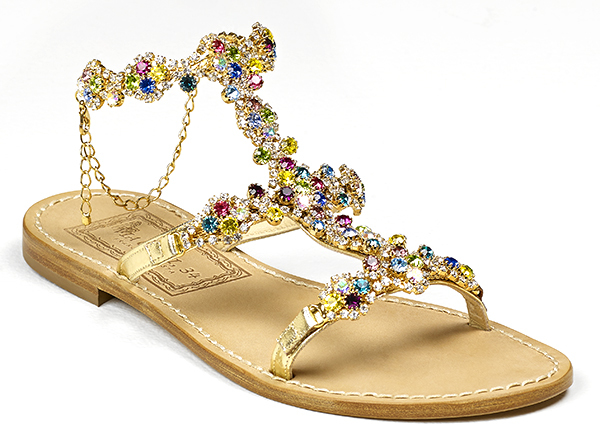 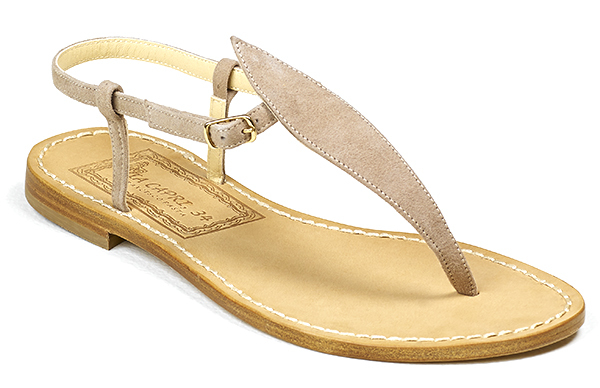 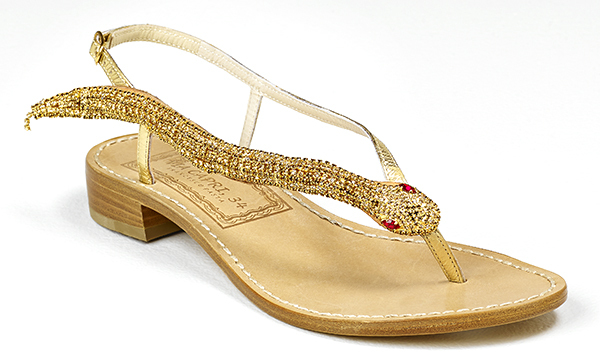 Chic sand-colored rope sandals decorated with clear, luminous crystals. 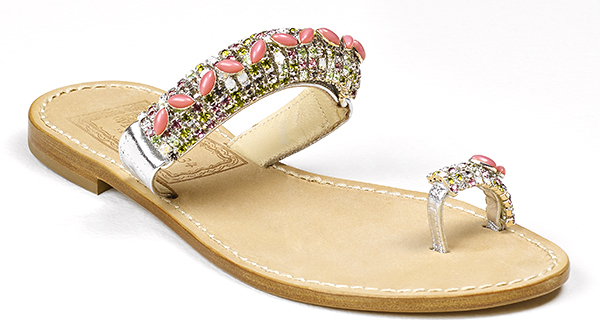 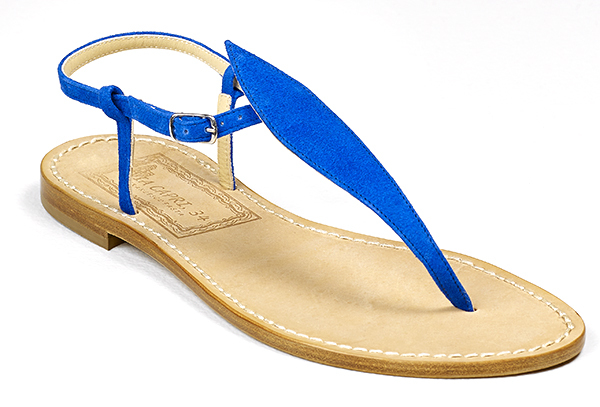 These sandals complete a flawless look. 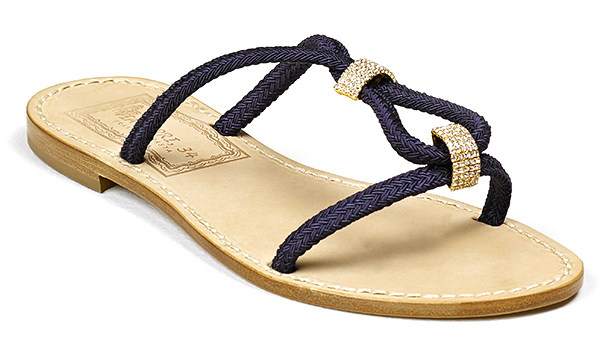 Everyone needs a little shimmer.